Welcome to the Pershing Missile site. I have tried to include many links about the Pershing Nuclear System. 1956 Secretary of Defense Charles E. Wilson strips the U.S. Army of all missiles with a range of 200 miles or greater. 31 Oct 1956 The Chief of Research and Development Department of the Army (DA), requested that the Ordnance Corps conduct a feasibility study of a ballistic missile with a required range of 500 nautical miles and a minimum range of 750 nautical miles. 14 Nov 1956 The Ordnance Corps forwarded the request for a MRBM (medium range ballistic missile) study to ABMA (Army Ballistic Missile Agency) thus generating the basic requirement for the system to be known as the PERSHING missile. 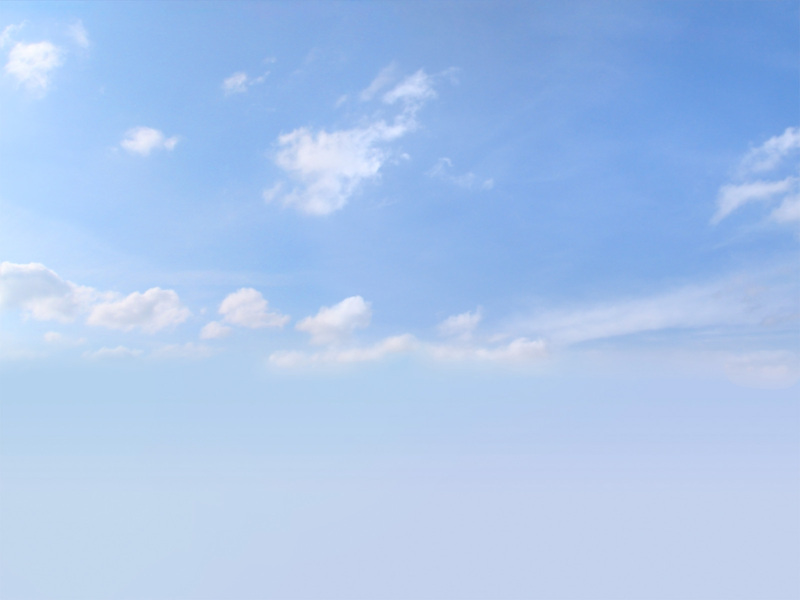 development of a solid-fueled missile with a desired range of up to 800 miles. 7 Jan 1958 The Joint Chiefs of Staff recommended and the Secretary of Defense approved the authorization for the Army to proceed with development of a solid-propellant missile to replace the REDSTONE. This approved replacement was known at ABMA as the REDSTONE-S solid). 16 Jan 1958 DOD (Department of Defense) announced that the new solid- propellant missile had been named the PERSHINGn honor of General of the Armies of the United States John J. (Black Jack) Pershing, famed commander of the American Expeditionary Forces during World War I. 19 Feb 1958 The Secretary of the Army assigned responsibility for the overall direction of the PERSHING missile development program to the Army Ballistic Missiles Committee. At the same time, he gave responsibility for systems management and engineering of the PERSHING development to ABMA. a production contract until a missile had been fabricated and tested in-house. 10 Apr 1958 The Ordnance Technical Committee approved the establishment of the PERSHING Project with a IA priority. 9 Oct 1958 The Ordnance Technical Committee formally approved military characteristics for the PERSHING missile system. 18 Apr 1959 ABMA accepted the first PERSHING missile from the research and development contract definitized with Martin on 25 Jun 58. 25 Feb 1960 First PERSHING XM14 single stage launch was conducted at Cape Canaveral. Nov 1960 The U.S. Army Artillery and Missile School at Fort Sill, Oklahoma, was designated as the proponent agency in the preparation of Army training programs for the PERSHING system. Oct 1961 The Martin Company was consolidated with the American Marietta Company, forming the Martin Marietta Corporation. Oct 1961 The Martin Marietta Corporation received the first production contract for PERSHING tactical missiles and ground support equipment. Jan 1962 First launch from tactical launcher. Jun 1962 The first battery of 2nd Missile Battalion, 44th Artillery was activated as the first U.S. Army PERSHING tactical missile unit. Jul 1962 PERSHING was declared operational. 1 Aug 1962 The PERSHING became one of the original items placed under project management by the AMC (U.S. Army Materiel Command). 31 Oct 1962 Martin Marietta delivered the first tactical Ordnance and Artillery ground support equipment sets for the PERSHING. Dec 1962 The PERSHING's readiness date was met when the first tactical missile (Missile 505) was delivered. It later became the first PERSHING service test missile fired in Apr 63. Feb 1963 The PERSHING modification program began. Jun 1963 PERSHING redesgnated as MGM-31A. Training version designated as MGM-31B (not confirmed). 5 Jun 1963 President John F Kennedy and other dignataries visited WSMR to observe missile test firings. PERSHING was demonstrated, but not fired. Vice President Lyndon B Johnson was presented with a PERSHING plaque. Party included Senator Strom Thurmond, future president Gerald Ford, Secretary of Defense Robert McNamara and Air Force Chief of Staff General Curtis LeMay. April 1963 56th FA Grp arrives at Hardt Kaserne. Sep 1963 Germany formally accepted a MAP (Military Assistance Program) offer for a joint maintenance float and support services for the PERSHING. Jan 1964 The Secretary of Defense assigned the PERSHING weapon system to a QRA (Quick Reaction Alert) role after a DOD study showed that the PERSHING would be superior to tactical aircraft for the QRA mission. Mar 1964 The first German PERSHING wing began unit training at Fort Sill, Oklahoma. 1964 4th Missile Battalion, 41st Field Artillery (PERSHING) deploys from the US and makes Hardt its new home station. This unit introduces the Pershing Missile to the European theater. Jun 1964 4/41 FA becomes operational. 25 Jun 1964 The REDSTONE missile, which the PERSHING replaced, was classified obsolete. Sep 1964 2/79th FA formed at Ft Sill. Prepares for deployment to Korea. 4 Dec 1964 The Secretary of Defense requested that the Army define the modifications required to make the PERSHING suitable for the QRA role. This directive initiated the PERSHING la program. 24 May 1965 The Secretary of Defense approved the PERSHING la development program. Original PERSHING now referred to as PERSHINg 1. Dec 1965 QRA role assigned to 56th FA Grp. 28 Mar 1967 The PERSHING accomplished a significant first when B Battery, 3d Battalion, 84th Artillery, which was deployed to Germany, successfully launched two missiles simultaneously and a third missile 30 minutes later from Blanding, Utah, into WSMR (White Sands Missile Range). Aug 1967 Martin Marietta received the production contract for the PERSHING la. 31 Jul 1968 AMC granted authority for limited release of PERSHING la equipment designated for CONUS (Ccontinental United States) deployment. May 1969 2/44th FA received its PERSHING 1a equipment. This battalion's main mission was training. Sep 1969 The conversion from PERSHING to PERSHING la for the first U.S. European battalion- the 4th Battalion, 41st Artillery was completed. This initiated Project SWAP, a program for replacing PERSHING equipment deployed to Europe with PERSHING la equipment. 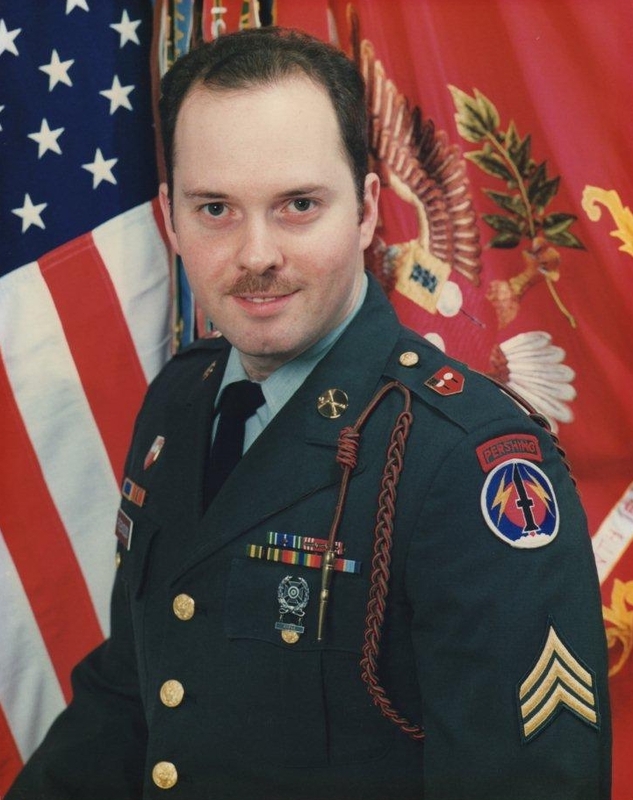 Firing Platoons expanded from two PERSHING 1 missiles to three PERSHING 1a missiles. 22 Jan 1970 Germany officially accepted the SWAP program. 18 Mar 1970 Project SWAP was completed ahead of schedule. Jul 1970 Deliveries of PERSHING la equipment for Army requirements were completed. Jul 1970 First PERSHING 1a QRA status assumed. Sep 1970 56th FA Grp redesignated as 56th FA Bde. 18 Aug 1971 CH47 Chinook (airframe 66-19023) crashes near Pegnitz, Germany. All aboard are killed- four crewmembers from 4th Avn Co, 15th Avn Grp and 33 soldiers from Heavy Mortar Platoon, HHC 2/4 Inf. 21 Feb 1973 First PERSHING 1a launch at Cape Canaveral. 1974 PERSHING 1a G&C (Guidance and Control) computers upgraded from analog to digital. 7 Mar 1974 The Deputy Secretary of Defense authorized the Army to proceed with the advanced development of the PERSHING II. 1975 Production line for PERSHING 1a closed. Mar 1975 The contract option to begin the PERSHING advanced development was exercised. 1976 PERSHING 1a Block 7 modifications improved QRA by adding the sequential launch adapter (SLA) and the automatic reference system (ARS). 1976 we used Kleingartach as a CAS site prior to Waldheide being opened, A Btry 3/84th FA. 18 Nov 1977 The first PERSHING II missile advanced development firing took place. May 1978 Flight test of PERSHING II RV (Re-entry Vehicle) on PERSHING 1a motors. 20 Feb 1979 The PERSHING II system formally entered the engineering development stage. Dec 1979 The NATO Ministers formally approved the basing of the PERSHING II missile system in Western Europe. 19 Feb 1980 President Jimmy Carter awarded the PERSHING II program the BRICK- BAT (DX) priority rating, the highest national priority granted to a system. Dec 1981 The PERSHING II program entered the production phase. 22 Jul 1982 First PERSHING II launch at Cape Canaveral (failure). Nov 1982 First successful PERSHING II launch at Cape Canaveral. Nov 1982 A truck carrying a Pershing missile in Germany crashed into a car, killing 3 people. Aug 1982 The PERSHING Project Office celebrated its 20th anniversary. Apr 1983 The central training facility for transition training from PERSHINGa to PERSHING II was activated at Cape Canaveral Air Force Station. Florida. 15 Dec 1983 The initial operational capability for the PERSHING II was achieved when the 56th Field Artillery Brigade received its equipment. 30 Jun 1984 Deployment of the first PERSHING II battalion was completed in Europe. 1 Aug 1984 The CONUS deployment of the PERSHING II began. 11 Jan 1985 PERSHING II rocket motor explodes at the Ft Redleg CAS site in Waldheide, Germany, killing three soldiers from C Bty 3/84 FA. 13 Dec 1985 The PERSHING II weapon system successfully achieved full operational capability in Europe. 17 Jan 1986 56th Field Artillery Brigade redesignated as 56th Field Artillery Command. 1/81 FA inactivated, 1/9 FA activated in Neu-Ulm, Germany. 1/41 FA inactivated, 2/9 FA activated in Schwäbisch-Gmünd, Germany. 3/84 FA inactivated, 4/9 FA activated in Heilbronn, Germany. 55th Maintenance Bn redesignated 55th Support Bn. 20 to 21 May 1987 The first PERSHING II night launches occurred at Cape Canaveral Air Force Station, Florida. 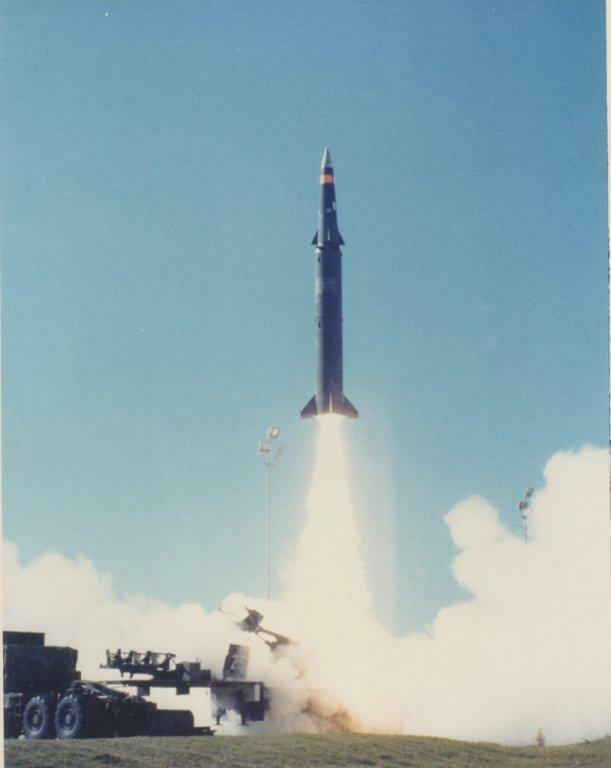 One of the missiles launched during this testing marked the 500th flight of the overall PERSHING program, which included the PERSHING, PERSHING la, and PERSHING II. 8 Dec 1987 The United States and the USSR signed the INF (Intermediate Range Nuclear Forces) Treaty. 27 May 1988 The U.S. Senate ratified the INF Treaty. 1988 First party of Soviet inspectors arrive at Redstone Arsenal as U.S. begins destruction of Pershing missiles per INF Treaty. 1 Jun 1988 The PERSHINGNF Management Control Center became operational on a 24-hour basis at Redstone Arsenal. 2 Jun 1988 A CPFF contract was awarded to the Thiokol Corporation for the elimination of PERSHING rocket motors by static firing to meet the requirements of the INF Treaty. This contract also provided for the crushing and disposal of PERSHING la motor cases and nozzles. 1 Sep 1988 In accordance with the provisions of the INF Treaty and the approved schedule, the stand down of the first PERSHING II USAEUR (United States Army, Europe) battery began. 8 Sep 1988 The U.S. Army began eliminating PERSHING missile rocket motors as prescribed in the INF Treaty when a PERSHING II and a PERSHING la first stage motor were static fired at longhorn Army Ammunition Plant. Texas. Following the firings, both cases were placed in a hydraulic crusher and flattened. Oct 1988 The elimination through static burn (firing) of PERSHING la rocket motors began on a regularly scheduled basis at longhorn Army Ammunition Plant. An average of 48 first and second stage motors were eliminated per month by Morton Thiokol contractor personnel. Representatives from the Soviet Inspection Team and the On-Site Inspection Agency were present to witness the elimination process. 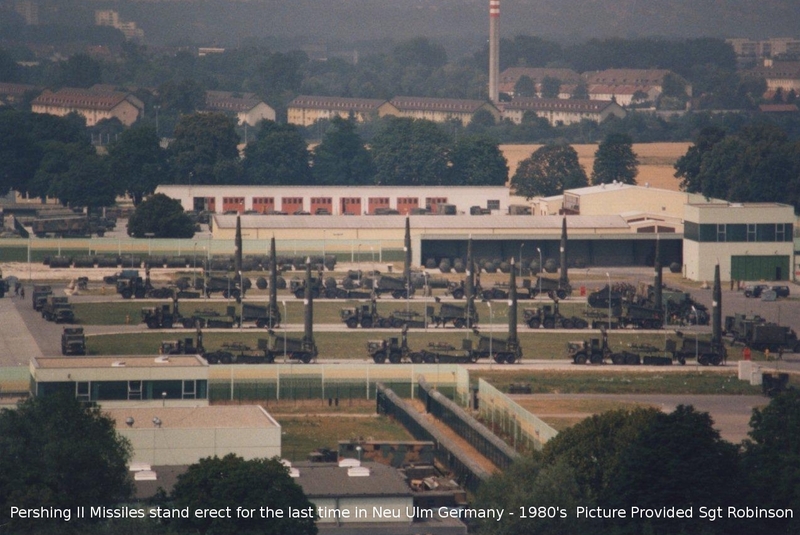 Oct 1988 The first nine PERSHING II launchers were eliminated at EMCH (Equipment Maintenance Center-Hausen), Frankfurt, Federal Republic of Germany. Dec 1988 The initial elimination of nine PERSHING first and second stage motors, reentry Vehicles, warhead and radar section airframes, and 18 trainer stages was completed at Pueblo Depot Activity, Colorado. 13 May 1989 After further negotiations in Geneva, Switzerland, between the U.S. and Soviet governments, the Soviet Inspection Team began accepting incomplete PERSHING la motors for elimination. 6 Jul 1989 The last PERSHING la motor stages were eliminated at Longhorn Army Ammunition Plant, five months ahead of schedule. A total of 343 PERSHING la motor stages were destroyed, marking the first time an entire class of nuclear weapons had been eliminated. 18 Jun 1990 The dedication ceremony for a PERSHING II/SS-20 missile INF Treaty display was held at the Smithsonian Air and Space Museum, Washington, DC A similar exhibit is on display at the Soviet Military Museum in Moscow. Sep to Oct 1990 The last CONUS treaty-related items consisting of PERSHING II launchers and trainer missile stages, were retrograded from Redstone Arsenal and Fort Sill to Pueblo Depot Activity. 20 Sep 1990 As ordered by the Joint Chiefs of Staff, pieces of PERSHING II missiles were delivered to the United Nations in New York City for use with Soviet SS-20 missile pieces in a permanent art exhibit at the UN being designed by a Soviet artist. FY 1990 The GAF (German Air Force) unilaterally agreed to the retrograde of the PERSHING la system from their inventory. The GAF would keep the system fielded through mid-May 1991, after which time the United States would eliminate the GAF PERSHING la motors. 1 Oct 1990 At 1800 hours Central European time, the last tactical PERSHING II missile stage was put in its container and verified safe to ship. 1 Nov 1990 The last CONUS PERSHING II battery stood down at Fort Sill, Oklahoma, and the battalion--the 3/9th Field Artillery--was deactivated. May 1991 The first and second stage rocket motors of the last PERSHING II missiles were eliminated at Longhorn Army Ammunition Plant. This was in accordance with INF Treaty provisions requiring the elimination of an entire class of nuclear missiles by both the United States and USSR no later than 31 May 91. May 1991 The 56th Field Artillery Command (PERSHING) and subordinate elements begin deactivation, ending three decades of PERSHING service to the nation.